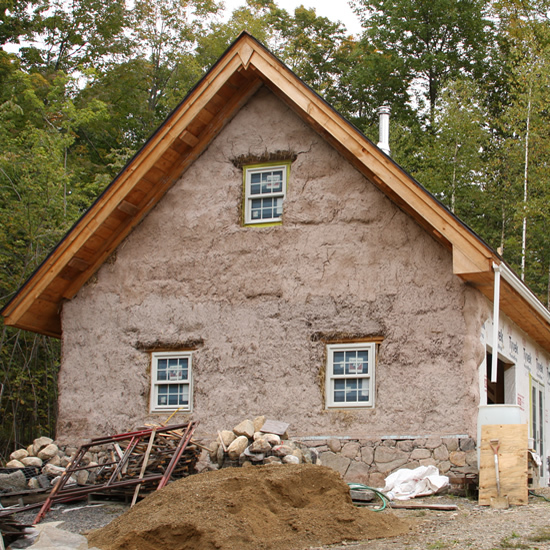 Our very first residential / green architecture project as a firm was this Straw Bale Studio in Marlow, NH. Our client knew what she wanted but needed architectural drawings to help her and her friends erect this building themselves. 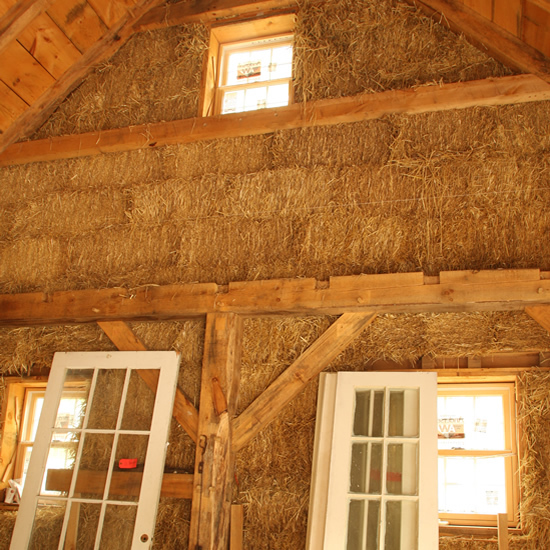 And we, as architects, needed to research how to build a straw bale building – something pretty uncommon in the northeastern United States. 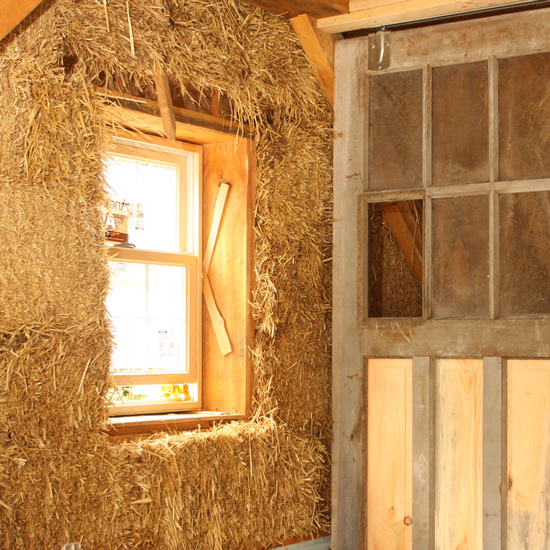 This structure has a timber frame skeleton and is infilled with bales of straw that form the walls, which are then covered with plaster inside and out. This wall has an R-42 insulation value which is more than double what a conventional wood framed wall consists of. South facing windows were designed for solar gain and the slate roof was reclaimed from on old barn. And the primary heat for the structure is a small wood burning stove.